Davide Anzaghi was born in Milan on November 29, 1936. His father, Luigi Oreste, musician, devoted himself to music education for a whole life and started very young to study music. Anzaghi he graduated in Composition, Conducting, Choral Music and Choral Conducting and Piano at the Conservatorio Giuseppe Verdi in Milan. After the academic training followed master classes for composers held by GF Ghedini and F. Donatoni. Initially started the concert career has taken leave from early this and initiated the teaching experience. He taught at the Istituto Musicale Donizetti in Bergamo, at the Conservatory of Brescia and for decades has been a professor of composition at the Milan Conservatory. From birth resides in Milan where he works as a composer and music promoter. The interest in the composition – as always – has aroused more briskly in 1968. Since that year he began his industrious composing activity, gratified affirmation achieved in national and international competitions. With Signs and Ritografia wins the Piano Composition Competition of Treviso, in 1970 and 1971. The jury was composed of F. Donatoni, G. Gorini, G. Petrassi, N. Rota and chaired by Gian Francesco Malipiero. In 1973 the composition for orchestra Limbale deserves the first prize in the X International Competition of Symphonic Composition Ferdinando Ballo, organized by Musical Afternoons of Milan and assigned by a jury composed of P. Rattalino, L. Rognoni, G. Petrassi, F. Siciliani, C. and G. Togni Turks. In 1974 the composition for grand’orchestra Ausa is declared the winner of the International Olivier Messiaen Competition. The jury were part G. Ligeti, Lutoslawski W., Ton de Leeuw, I. Xenakis. The presiding the same Messiaen. Also in 1974, the Examination Committee of the GF Malipiero Prize winner judge his composition for chamber orchestra entitled Egophonie. The compositions of the seventies are oriented towards experimentation. As from 1984, the author has to a renewal of his compositional writing. From which, in addition to a large Pythagorean suggestion emerges the new poetic project: re-evaluate the role of listening. To privilege which the compositional design and pursues the utmost efficiency and quality craftsmanship. The propensity to the easy listening outcomes pushes its esoteric numerical code sounds into simple and coglibili musical architectures. His compositions have been performed in the maximum Italian and international locations. His biography and the catalog of the works are reported in all world encyclopedias. The works until 1995 are published by the publisher Suvini & Zerboni. 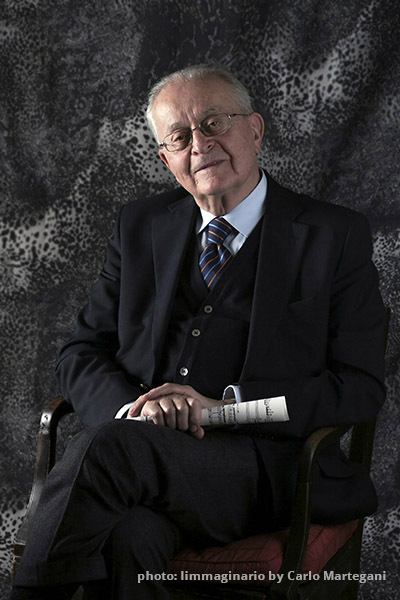 In 1994 he founded, presiedendola, the association for contemporary art Novurgìa (www.novurgia.it), committed to the promotion of interdisciplinary meetings. Novurgia has already held at the Palazzina Liberty, Litta Theatre and the Spazio Oberdan music events, poetry, painting and sculpture of the most important artists of the twentieth century. The Milanese public were presented the following artists: T. Kemeny and E. Sanguineti, for poetry; A. Knight, G. Pomodoro, M. Rossello (for sculpture); Hsiao Chin, F. De Filippi, L. Del Pezzo, F. French, E. Isgrò, U. Mariani, C. Olivieri, M. Rotella, F. Squatriti, V. Vago, Staccioli M. and E. Tadini (for painting). During the concerts have also been performed in premiere compositions of the most influential living authors. He served on the Board of The Musical Afternoons of Milan representing the Musicians’ Union, chaired by G. Petrassi, and in that context has contributed to the transition from private-phase to the Regional Production Authority. He was member of the Board of the Angelicum. In 2014 he was awarded the Golden Guitar for the composition of the International Guitar Congress in the city of Alexandria. In July 2015 the International Festival of Fiuggi Guitar attributes the City of Fiuggi Prize for composition. For many years he taught at the Milan Conservatory and coordinator of the Composition colleagues. For six years and until 2003 he was part of the same Conservatory Board of Directors. In the spring of 2004 he was elected in the first Academic Council of the same institution wanted by the Reformation of the Conservatives. From 2003 to 2016 he was elected president of the ISCM, Italian Society of Contemporary Music. 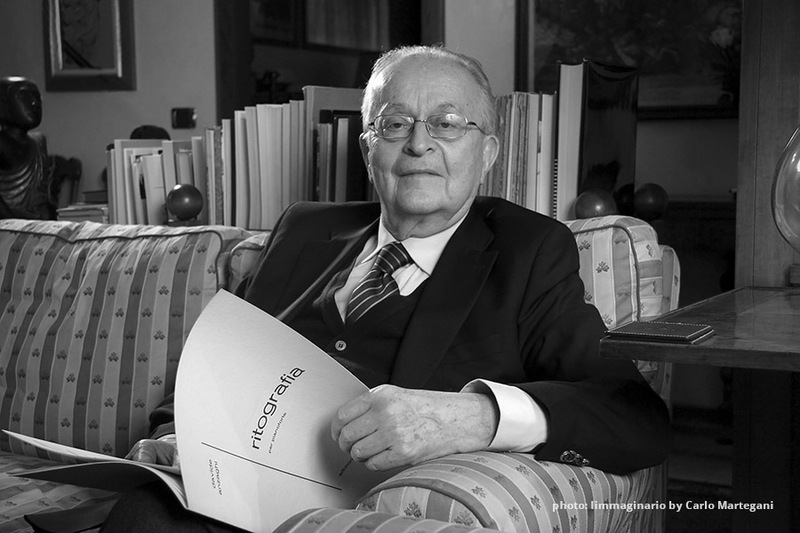 He was responsible for the Concert of the Triennale di Milano, representing the Milan Conservatory.